Fits any Tropitone® Umbrella Base. 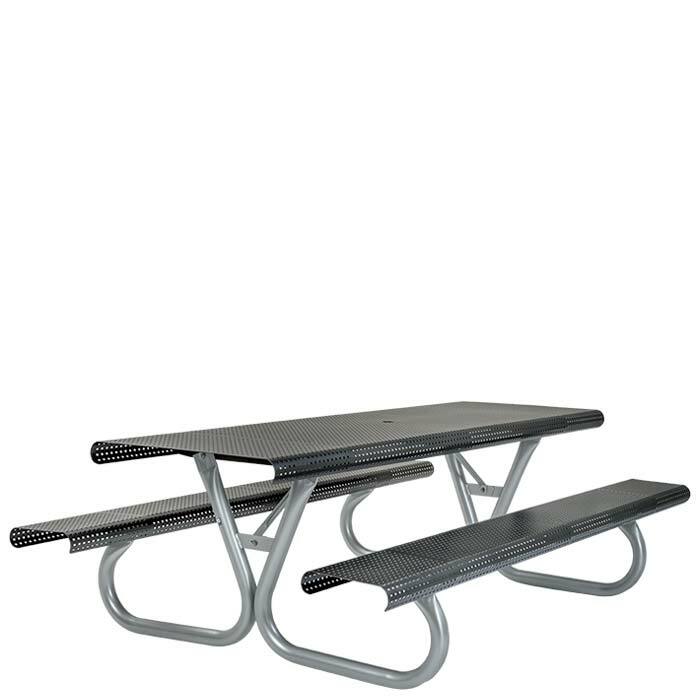 Whether in the city or in the country, District Picnic Tables will bring people together. This 8' Rectangular Patterned Picnic Table features a square pattern design and bench-style seating. The District 8' Rectangular Patterned Picnic Table is made of aluminum for durability and ease-of-maintenance and is available in the Urban Finish palette. Guests will gather at these picnic tables for an enjoyable meal - day or night.